Bedtime Stories is a family comedy starring Adam Sandler as a hotel handyman who spins imaginative tales with help from his niece and nephew. Hilarity ensues when elements from his stories begin to surface in his everyday life. Tippett Studio was responsible for bringing to life the delightfully cartoony family pet guinea pig, Bugsy. The design challenge facing the team revolved around whether to create an all-CG guinea pig or simply find a way to use a real guinea pig for production. 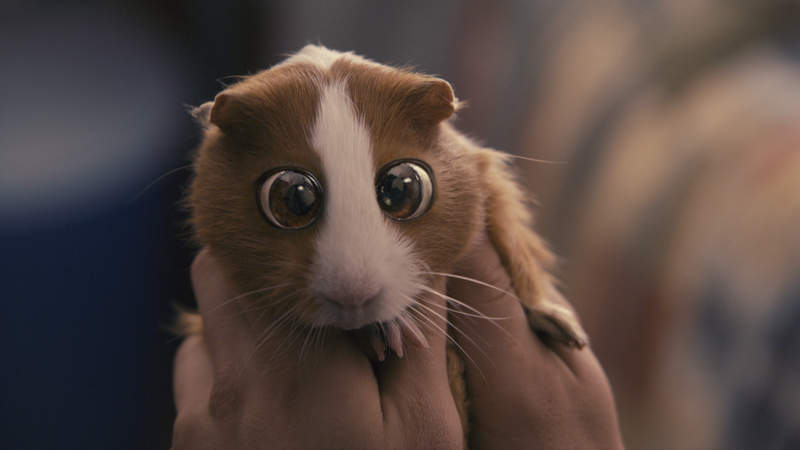 Bridging the gap, the team decided to superimpose exaggerated animated features onto the live action guinea pig, creating a character both realistic and fantastic.